Chicken Wings, Blue Cheese dip remind me of a the great time I had travelling around New York State or upstate New York. As hard as it is to pull yourself away from the big smoke I urge you to take a whirl around the food bowl of New York City. Yep. This is where a lot of that great produce comes from. Oh and did I mention wine and cider?. Get ye upstate! But first the chicken wings. Seriously good looking . 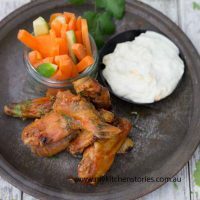 These are crunchy and coated in spicy delicious sauce and then served alongside blue cheese dip and crunchy vegetables. This was my favourite thing at Eddies Roadhouse in Warwick, my favourite Upstate town. New York State is of course home to New York City but you might have also heard of a little water feature called Niagara Falls or perhaps the Hamptons and the beaches of Long Island? Well, they are all part of Upstate New York. As well as being the food bowl of New York City its also a place to escape to some of the wildest and most beautiful regions in the US only a very short distance from the city that never sleeps. 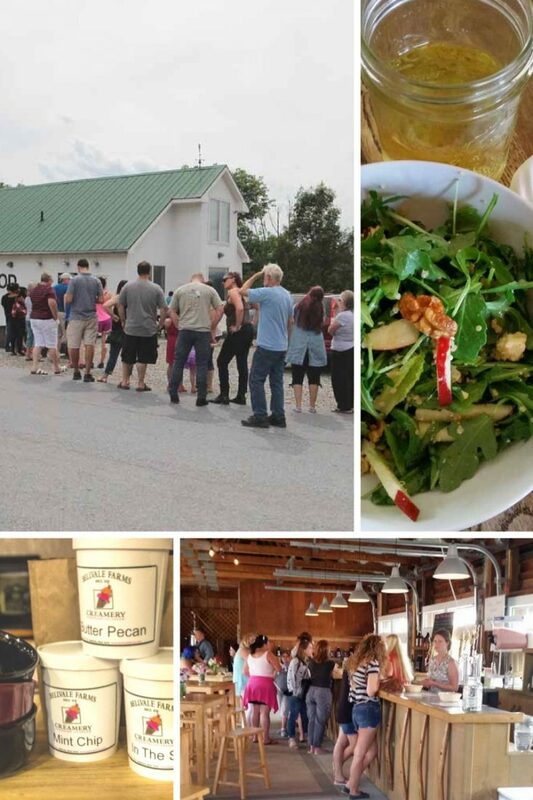 The Finger lakes district in Central Upstate New York is known not only for the 11 long skinny lakes but its established wine and cider production. I was introduced to the specktical of these lakes from the air on my way in from Vancouver. What a sight!. So as well as waterfalls, walking and camping you can drink your way around the district on one of the many wine or adventure tours. These and more are part of NY state along with The Catskills and the Hudson Valley. There is so much to see out here that you should leave yourself an extra week. I loved this town the first time, but the second time the bus trip seemed so much shorter and the excitement of arriving so much greater. Arrive on a Friday night and scull giant free pour vodka and tonics with the friendly locals on railroad green. dancing happens and next morning there are cafes and hair of the dog to pursue. Hit the market first thing Sunday morning and take home local hard cider and fruit for the bus trip back to NYC. This historic town (1788) is in Orange County. Surround yourself with quintessential looking American houses and great little coffee shops and food stores all within walking distance. 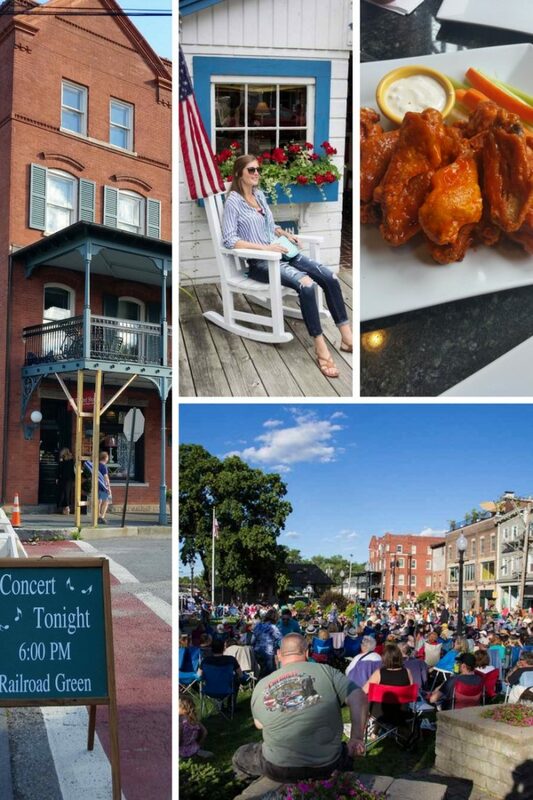 There’s a farmers market on Sundays and music on Railroad green most Friday nights. 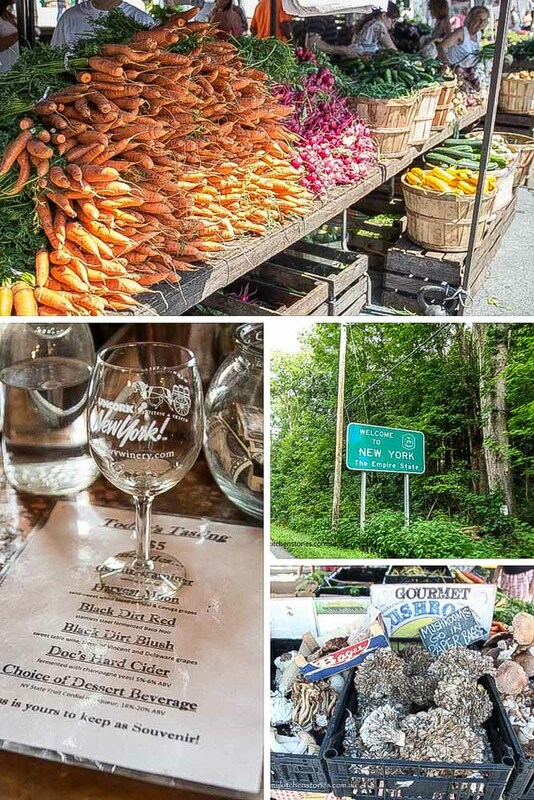 There’s no shortage of Wineries, Distilleries and Cider producers to visit within a few kilometres radius, each with their own restaurant and most often music. This is the home of Pine Island Onions and the Warwick Applefest, the biggest festival in Orange County . While here you must visit. Bellvale Farms Creamery– Since 1819. 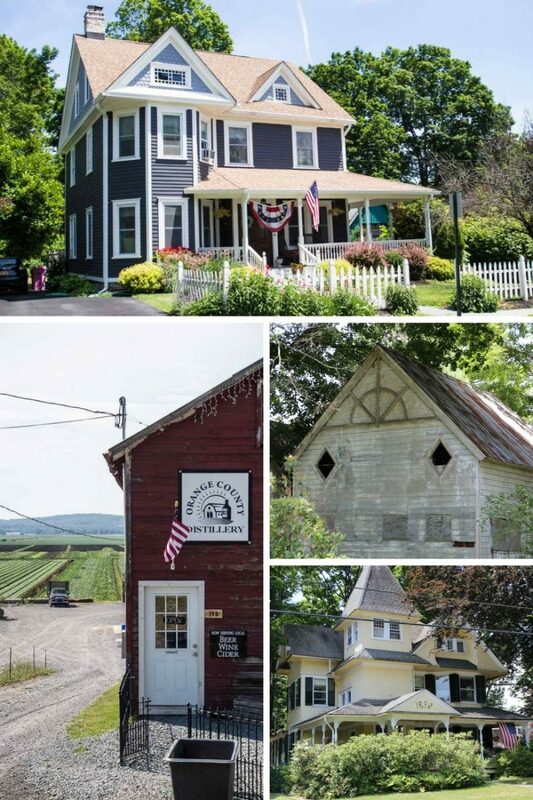 No cider here… just the #2 voted best ice cream parlour in the US in 2015. 2. Bethel Woods or Woodstock to the rest of the world. Once you visit Bethel Woods you get the idea just how pivotal this music fest was, it changed the world of music forever. It’s a green laid back parkland by day but night lights and music can bring that old fashioned sixties feeling of getting high and peace-ing out to anyone at all. Bethel Woods is a centre for the arts but it wasn’t always . It was once just a large piece of farmland where the most famous music festival of all time took place. Yep, Woodstock in 1969. 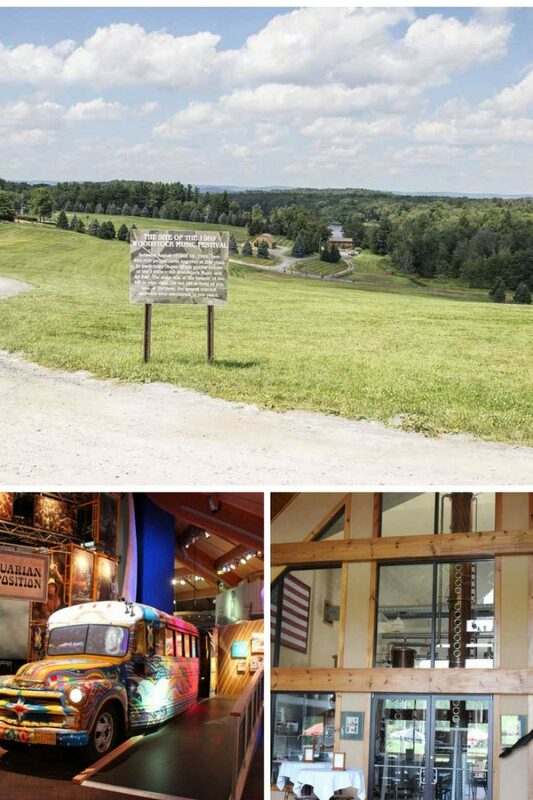 A museum dedicated to the Woodstock festival and life in the 60’s opened in 2008 and offers a great insight into both . It’s located approximately 90 miles (140 km) from New York City. The site holds a 15,000-capacity outdoor performing arts venue, and a 400-seat Event Gallery, as well as the Museum. There’s always music on. Check out the program below. The field where Woodstock was held. Bethel Woods Museum & Catskills Distilling Co.
Getting to Bethel Woods by bus from New York and see what’s on here too. Oh my gosh, I said I was going for a look. No way I am going to buy anything I said, but I ended up like the rest of the people that visit here …I bought a bigger bag to take my purchases back to Australia with me. This is an outlet for major brands. Adidas, Balenciaga, Banana Republic Factory Store, BCBG, Burberry, Chloe, Coach, Gap Outlet, Guess, Gucci, Jimmy Choo, Moncler, Neiman Marcus Last Call, Nike, Nine West, Oscar de la Renta, Polo Ralph Lauren, Prada, Saks Fifth Avenue OFF 5TH, Samsonite, Ted Baker London, Tom Ford, Tommy Hilfiger, Tory Burch, Under Armour and more all at savings of 25% to 65% every day. All I can say is BE.CAREFUL! You might need to visit Samsonite like I did. Woodbury Common can be accessed from New York city as a day trip. Drive, bus or train it and if one day isn’t enough there are plenty of places nearby to stay and also eat. Frequent daily bus service to Woodbury Common from Port Authority, New York City (42nd St & Eighth Ave). Frequent daily bus service to Woodbury Common from Port Authority in New York City (42nd St & Eight Ave). 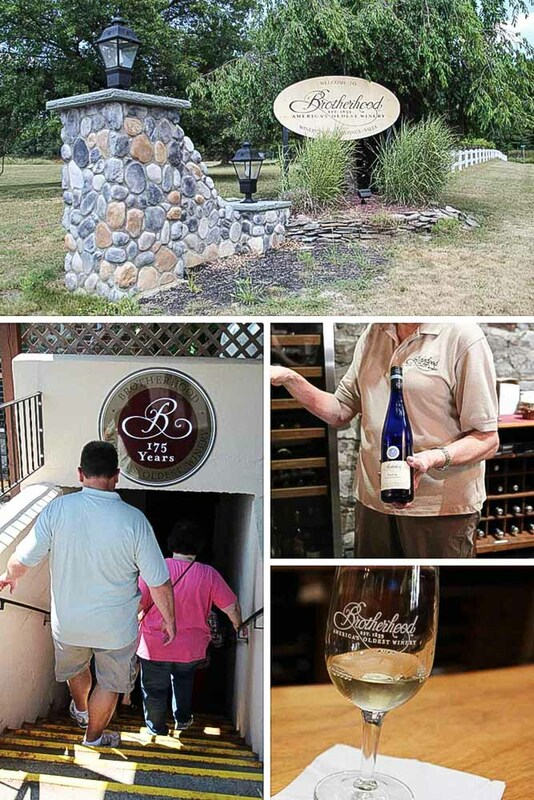 Experience the atmosphere of Brotherhood Winery by taking a stroll through the network of underground cellars. Excavated by hand in the late 19th Century, the ethereal passageways leading to the cellars are astonishing. The cellars themselves house over 200 oak barrels of various sizes. 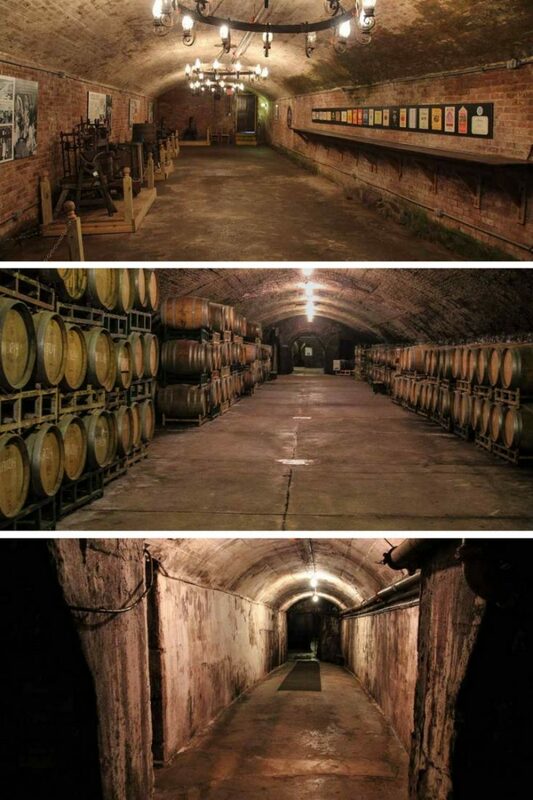 Tours run through the underground cellars and past a Brotherhood crested vault containing some of the oldest vintages in America. There is much interesting history to be learned about both the Winery, it’s owners and the American journey through prohibition. A tour and tasting pass are incredible value. You will get to try a flight of the most popular wines with an informative and very friendly host. Oh and I bought wine….. If you are going to see baseball this is the best place to come. 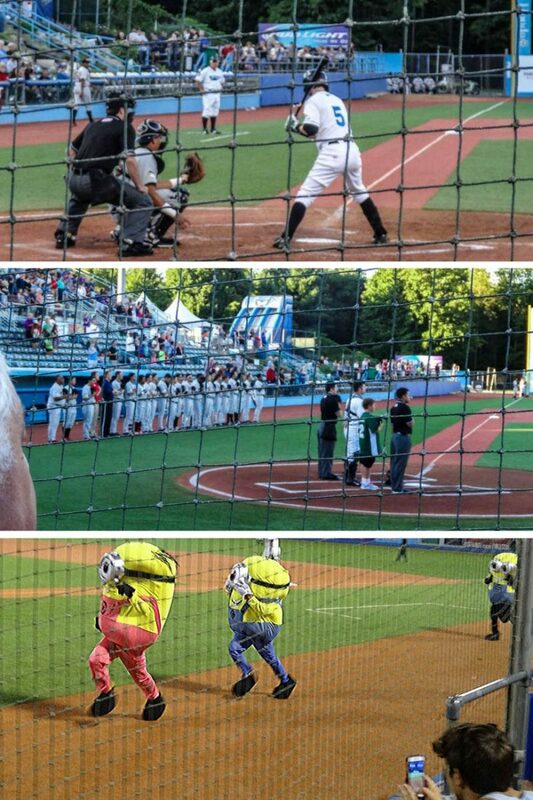 The atmosphere is very exciting with fans of this local minor league baseball, really getting involved. The stadium is medium sized and you can sit very close to the mound and get soak it all in this most American of sports. The Renegades play at Dutchess Stadium in Fishkill, New York, and this is the New York–Penn League, a Class A Short Season league. The tickets are pretty cheap and it’s hard not to get swept up in the atmosphere of it all as families cheer the local teams. There are competitions and lots to watch on and off the field with fanatical fans and entertainment in the breaks. Did I mention all the different beers you can try? 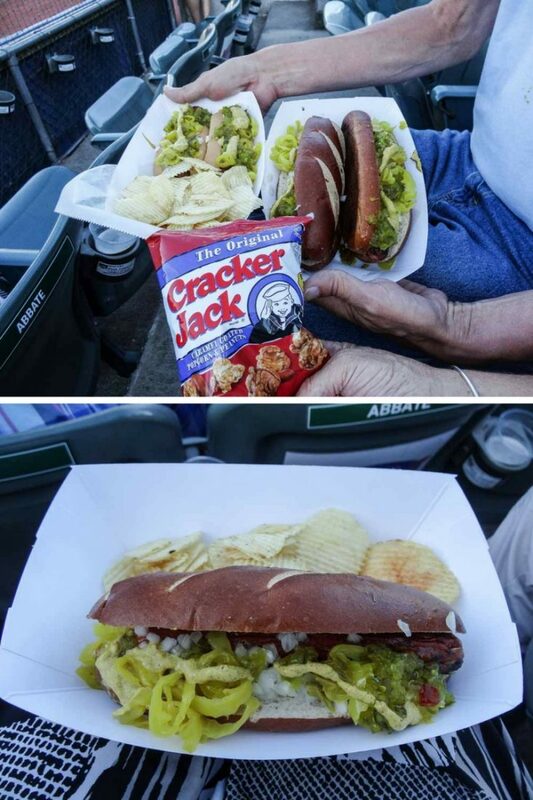 Hot dogs pretzel dogs and all kinds of other baseball food is to be had to make you feel just like you are actually in one of those American movies. And now for that recipe. 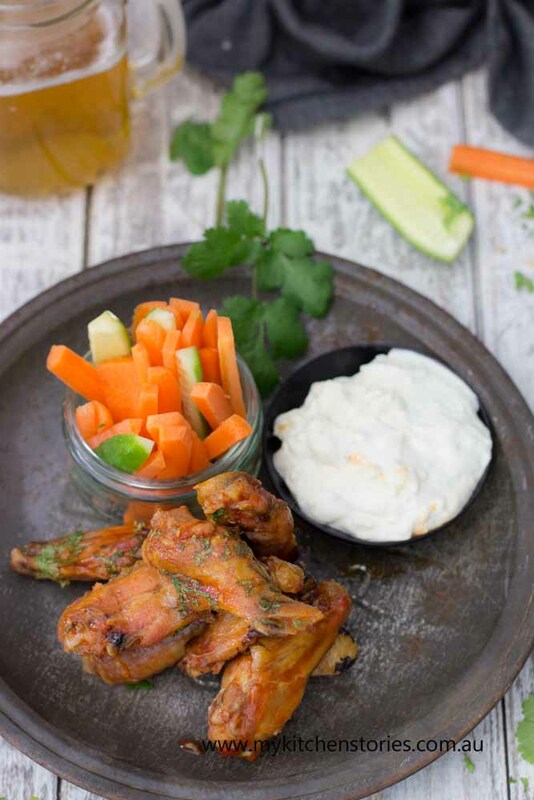 Spicy Chicken Wings, Blue Cheese Dip…..just like at Eddies! These totally addictive wings come slathered in a lovely tomato chilli sauce. There is nothing else sane to do but to dip them in blue cheese sauce, just like at Eddies Roadhouse, Warwick New York. there are many ways to cook chicken wings and this is my favourite. i like to cook them till crispy adding oil so they aren't dry like some wings tend to be. Discard the wing tips and use for stock. Add all the wings and toss in the oil till all the wings are well coated. Crush the blue cheese with a fork in a small bowl. Mix in the sour cream and mix till well combined and decant into a serving dish. Take the chicken wings out when they are turning golden. (test one if you like). Transfer them into the tomato sauce mixture with tongs and toss to coat. Serve immediately with vegetables and blue cheese dip. You'll need chopped vegetables to accompany this. Try carrot cucumber red pepper and celery. There’s more see Bear Mountain Bridge, Franklin D Roosevelt Museum, West Point, the US Military Academy and so much more! Warwick upstate? You sure?? Up from NYC I suppose. My sister lives in the Hudson Valley in Rhinebeck (near Kingstone) and it’s such a beautiful part of the country along the Hudson River. Your post makes me very homesick. Yep Maureen I is sure. Sorry to make you homesick! You surely had a great time in NY! Those chicken wings look fingerlickingly GOOD! Yep I went a little crazy at Woodbury Common. 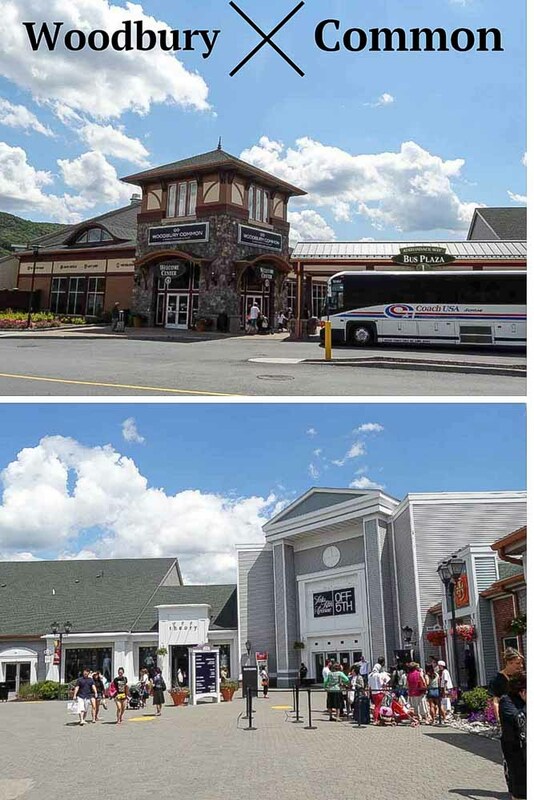 The factory outlets in the USA are crazy! What some great ideas for things to see and do! Those chicken wings look so good. I spent a summer working in the Hamptons in McDonalds which wasn’t nearly as fun or as delicious as all the places you’ve mentioned here. 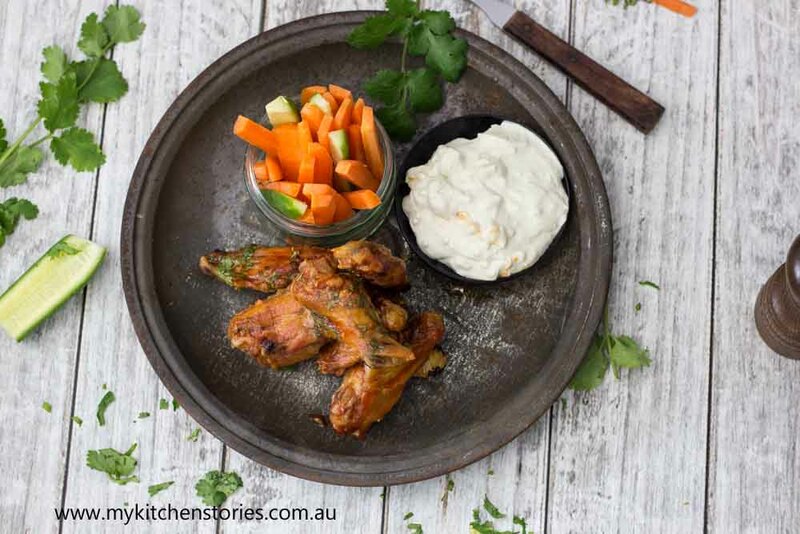 Those chicken wings look the business and that blue cheese dip sounds droolsome! NYC is one of my all time favourite American cities. I have not been to upstate NY yet, but it’s on my list. Wings have been on my mind ever since we spotted the famous Anchor Bar near the airport in Toronto, they invented chicken wings (or at least, they claim to have invented them). I am so going to make them again. Hi Toro. i am so pleased you liked that recipe. i like it so much i regularly eat too many wings. Thanks for all your comments. i hadn’t heard og Teysaustralia but thanks.